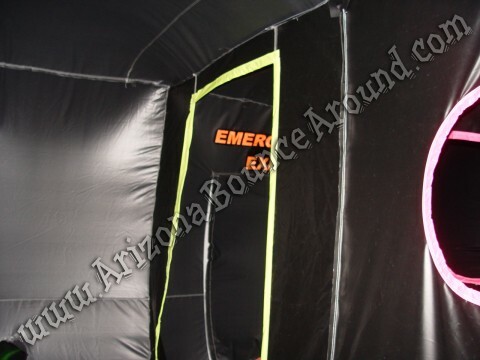 This big inflatable laser tag maze is electronically controlled by our staff & features 8 different laser tag games, 4 different entrances, a whopping 23 rooms, black lights, strobe lights, & a fog machine for great laser tag parties. 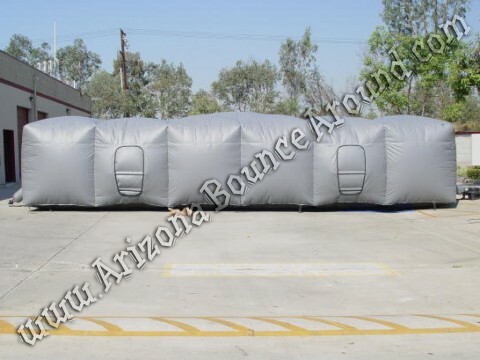 This fully-enclosed inflatable laser tag arena has 1225sf of indoor laser tag fun and features 4 doors, 1 large central room and a whopping 22 smaller rooms that easily holds up to 12 players at one time. 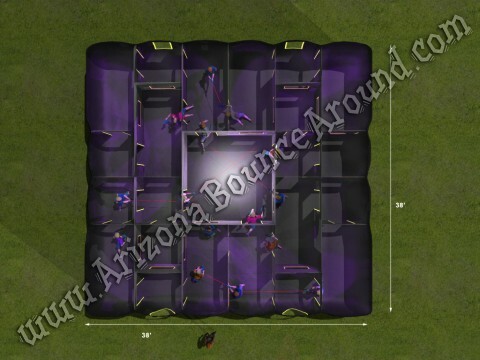 This is the only evaprotive cooled laser tag maze in Colorado for summer events. 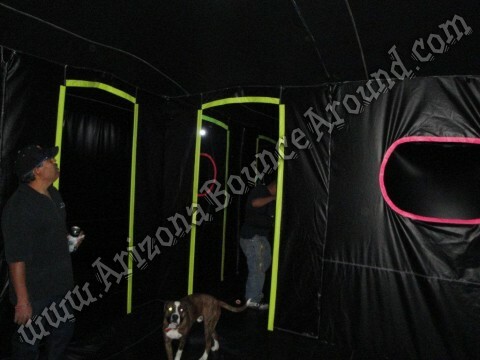 Our laser tag maze comes with 2 attendants to operate the games and we have 8 different games to choose from. See a full list of laser tag games and details about each game in our FAQ section. 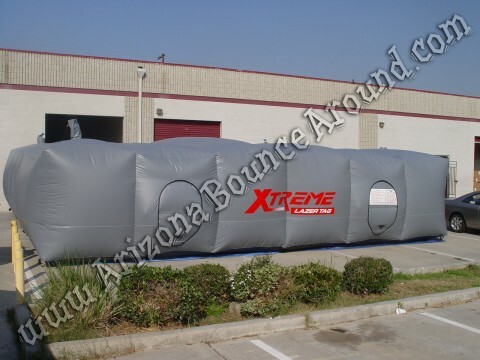 All of the games listed come pre loaded with our laser tag system only available at Gravity Play Events. 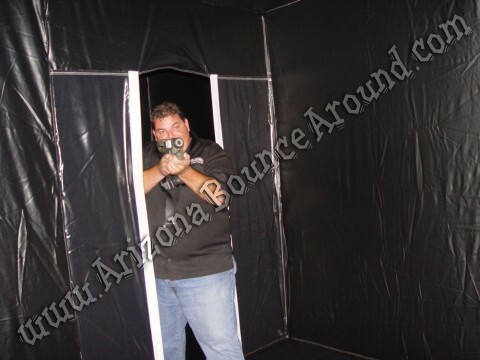 Our Professional laser tag guns are specifically designed for family friendly entertainment, where waving around a heavy, realistic-looking metal gun is not preferred. Our laser tag guns use radio frequency and not lasers making them completely eye safe. 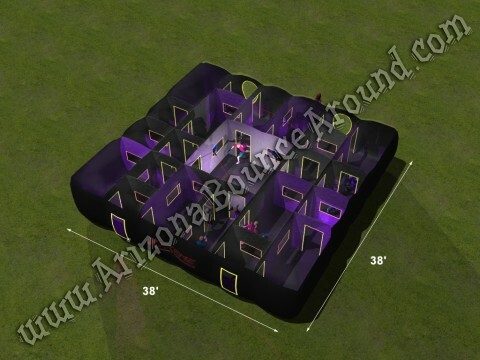 We have a really cool open laser tag maze if you want to see the players run around. 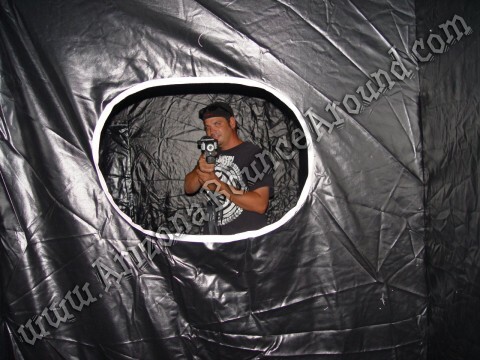 As part of our service new laser tag games can be remotely downloaded right to the guns so you can play multiple games at your party or event without any down time. Our laser tag guns are sized for hands of all ages, and its light weight makes it suitable even for young children. Rather than a full-size reload lever, our laser tag guns feature a button for reloading, making it easier for younger players to use. 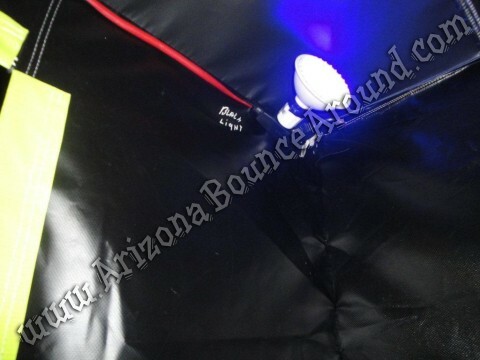 We can operate the laser tag maze with or without the strobe lights or we can set the strobe lights to stay on without flashing giving the players plenty of light to play. The strobe lights make it very mind blowing inside. 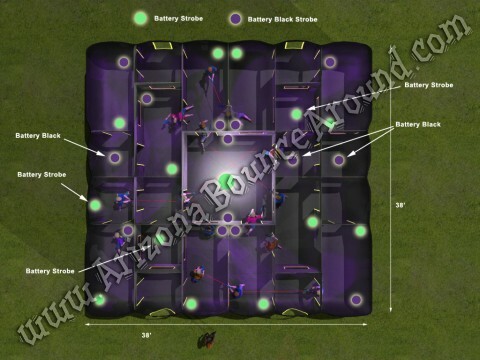 Each team can have up to 5 players for a total of 10 plaers at a time using our professional laser tag guns and computer system to run the game. Our staff will start and stop the laser tag guns and provide the results after each match. Each laser tag gun features lights, sounds and a headband. No laser tag vests are needed to play our laser tag game.